The best way to get to know Joburg is to hang out with an insider. In our Ask a Local series we chat to some of our favourite Joburg people to get the lowdown on what makes Joburg unique. This week tour guide Jo Buitendach from Past Experiences gives us her take on the city. 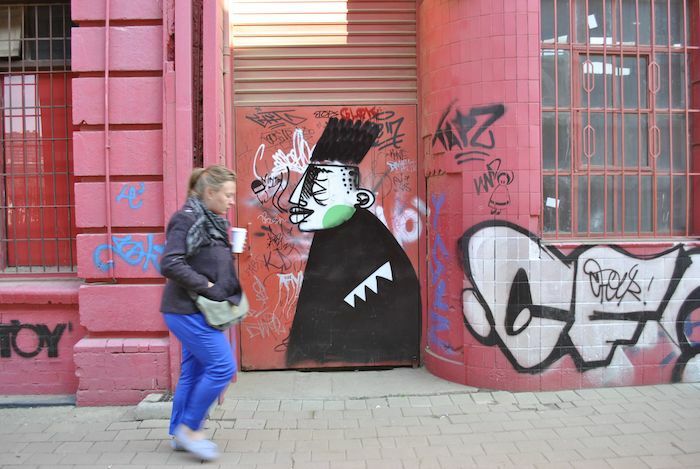 JO BUITENDACH is the founder of Past Experiences, Joburg’s original inner-city walking tour company known particularly for its street art and graffiti walks through fascinating downtown neighbourhoods. Archaeology graduate Jo started training to be a tour guide in 2009. "I didn’t want to sit in an office " she says, "I liked the idea of working with people and sort of 'fell into' guiding, and I am so lucky I did!" In 2015 she completed her Masters in the 'Heritage Value of Graffiti' looking particularly at the messages left on the walls at Constitution Hill by prisoners during apartheid. Many of Past Experiences' tours focus on the city's political history, and as Jo points out graffiti has always been important as a medium of protest and a record of the mood of the people. "I am a huge graffiti (and street art) fan. I really believe it plays an important role in a city. What makes my tours different is that I really support and believe in what the artists/writers are doing, and I work closely with many of them. In all the walks we lead we try to be real, connected and factual and lead tours that are sustainable and bring value to the city." 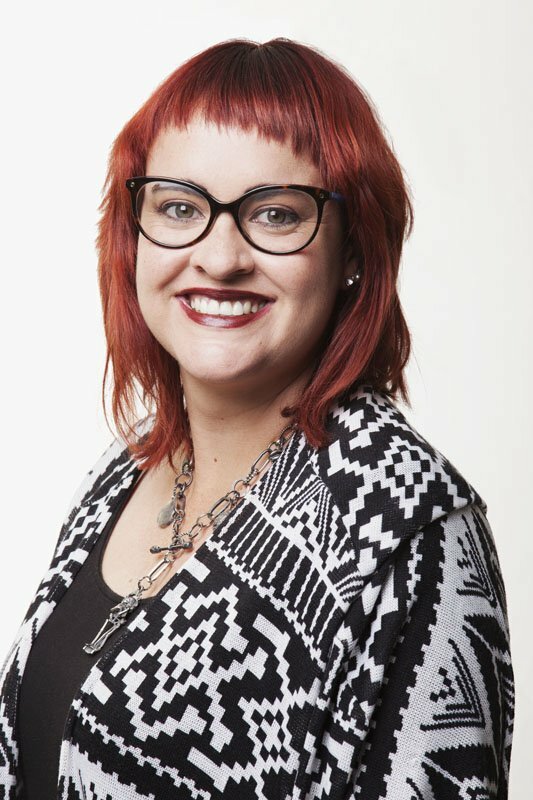 Over the years Jo has earned numerous accolades for her innovative tour company, including most recently in February 2019 an award at the inaugural Vanity Fair Magazine Changing Your Mind Awards in London where she was recognised for her role in changing people's mindsets in regards to travel and tourism in Joburg. "People sometimes say to me, 'the city is a terrible place, no one lives there'. Well I say, that’s funny because who do I meet and talk to daily as I walk the streets – don’t they count?" I was born and raised in Joburg. I love this city, my heart pumps Joburg. Montgomery Park. We (me, my husband, our three Chihuahuas and sometimes a small pack of foster dogs) live in a retro 1960s house which we are restoring. I love Ferreirasdorp on the western edge of the City Centre and I am working on a book about the place. It's got beautiful buildings and amazing history (it was Joburg's original mining camp, and Nelson Mandela and Oliver Tambo had their law office there in the 1950s), but for me what is most amazing is the community that calls it home today. Growing up in the suburbs of Joburg, I personally didn't feel like there was a real community, as everyone drove from place to place and because of the very large walls. I started working in the Joburg City Centre ten years ago and only there experienced what community really is. I love walking through the area, hearing everyone's news, stopping to chat and seeing kids grow up. That we are becoming such a graffiti and street art destination! The city is a canvas and we owe so much to the amazing artists who are creating these artworks around our city. The most underrated Joburg sight? Liliesleaf Farm in suburban Rivonia. It is the most interactive heritage space and was the underground base for the communist party and the ANC in the early 1960s. The raid of the site and the subsequent Rivonia Trial is what put Nelson Mandela, and so many other major activists, in prison... and yet many locals haven't visited. My advice? Get your friends and family together and go now! 1. The graffiti, street art and more official public art around the city. Art should be for everyone to enjoy and by putting it on the streets, it is for everyone. Whether it's illegal graffiti or government-sanctioned art, there is art everywhere in the city and we should celebrate it more. 2. The Apartheid Museum. 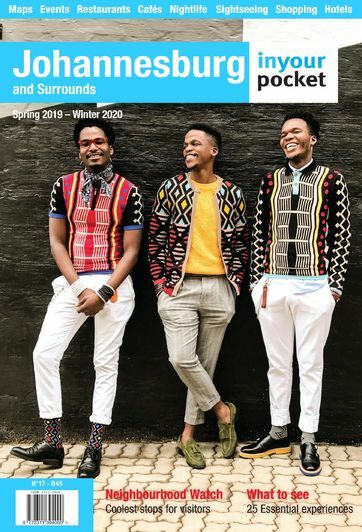 I know it is so done and a top attraction already, but it really plays a significant part in understanding South Africa and what it has gone through, both for locals and international visitors. Safari and luxury lodges are great and a huge part of our economy, but it is also so important to understand the real South Africans around you and their lives. 3. Visit the City Centre. In the past, all visitors to Joburg were advised to just stay in the suburbs and avoid the city, but it is so important to experience all aspects of Joburg – visitors should really go and explore. Check out one of the weekend markets, have a coffee, join me on a Past Experiences walking tour! Just be street smart while doing it. Graffiti spotted on the streets of Joburg City Centre on a Past Experiences tour. What's the most memorable meal you've eaten in Joburg? I love a classic movie, so why not take your main squeeze to The Bioscope in Maboneng. They do great 1980s and 1990s movie fests and show some awesome local films too. Plus they sell Paul's Homemade Ice Cream (another proudly Joburg product). Grab some birthday cake flavour for you and your other half. For a treat, I love Urbanologi at 1Fox Precinct in Ferreirasdorp in the city. They have such interesting flavours, and they source their ingredients from within a 150km radius which is amazing. They are also attached to the Mad Giant Brewery which means the beer is pretty great too! Favourite bar or after work hangout? I really like the feel of the Little Fox Cocktail and Gin Bar, again at 1Fox Precinct. They are concocting some seriously unique drinks. iwasshot in joburg :) is the most wonderful organisation, at Arts on Main in Maboneng. I always joke my house looks like their shop, as I have so many of their canvases and products. They do great work in the city (by providing photography training for street kids) and really capture what Joburg is about in every one of their photographs. I am also a huge fan of shopping from street vendors, especially for jewellery. So many of my best buys come from hawkers, and the street markets are also where I have met many of my city friends over the last decade. Our contemporary art scene is amazing. 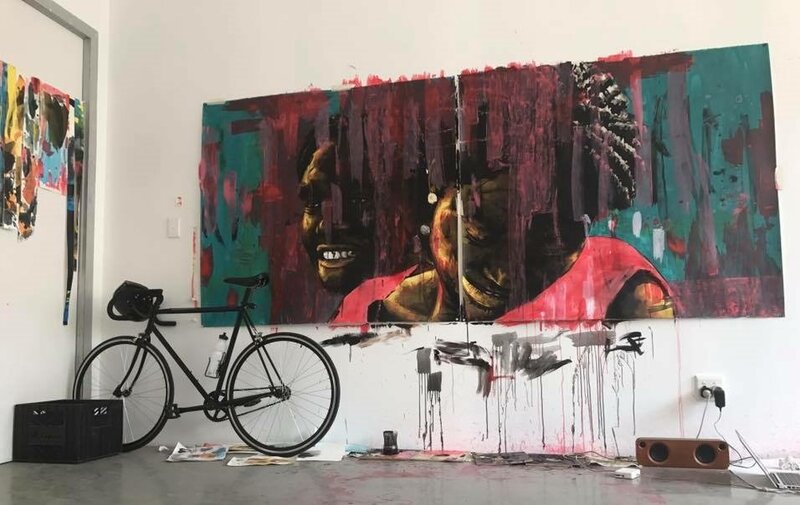 Local artist Nelson Makamo was just featured on the cover of Time magazine, and there are just so many talented artists and studios, galleries and spaces like August House, Victoria Yards and the Artist Proof Studio to visit. This is a tough one... there are so many great buildings! Definitely the New Library Hotel on Fox Street. It is pretty much just a shell, but it still has its amazing retro signage, and you can see the original wallpaper peeling off the walls inside. It is kind of dystopian but beautiful. It would be great if it could have a use and be sustainably purposed again in the future. On a weekend in Joburg you’ll find me …. Working! Weekends are generally tour time, so I will either be downtown, in Soweto or at one of our museums or heritage sites. Every car guard, scrap collector, business person, entrepreneur, taxi driver, barista, hawker, artist...they are each an integral patch in the crazy patchwork quilt that is Joburg. It is an incredibly tough city where many people have come to find a future, but it isn't easy and there are so many hardships. I try to show the positives of the city but I think it is also important to be realistic, and for people to know the bad, the sad, the good and the greatness. Joburg's energy. I don't know where it comes from; maybe it's the continuous hustle – it isn't called 'Jo-Hustle-Burg' for nothing! The city centre is busy, full of colour, pattern, noise, smells, cars hooting, people trying to make a living. All that explodes in a huge burst of energy. Contact Jo at past.experiences@hotmail.com or call +27 83 701 3046 to book a tour. Head online pastexperiences.co.za to find out about the full range of Past Experiences tours.